The “name” for a pipe size. In various specification systems for pipe (e.g., IPS, EMT, K-type copper tubing) a pipe is identified by a nominal diameter that is significantly different from its true diameter. For instance, an 1.5″ IPS black pipe has a true diameter of 1.900 inches. 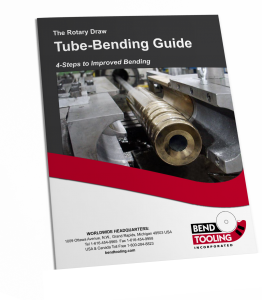 Another aspect of nominal diameter specifications is that if the centerline radius is called out in terms of “D” of bend, that “D” is a multiple of the nominal diameter and not the true diameter. For instance, the true centerline radius of a 2-“D” bend for that 1.5″ IPS black pipe is 3.000 inches (2 x 1.5″ nominal), not 3.800 inches (2 x 1.900″ true). Because of the potential for confusion (especially with copper tubing) all bend specifications for a pipe application should be called out in both nominal and true terms.